With such great hockey equipment on the market such as the Tuuk Lightspeed Edge, Bauer is one of the best-known names in youth ice hockey. The company designs equipment for all players. So, whether you’re a beginner or at an expert playing level, you’ll be able to get exactly what you need if you shop with the brand. The company is run by people who have a passion for hockey and who understand the equipment, so you’ll never need to worry about getting the assistance you need to buy the right products to go with your hockey stick. They also want every customer to be happy with their equipment and will do what they can to assist you if you are ever disappointed or if you misjudge and buy something that’s not just right for your favorite hockey player. There are also customer service reps available to help you make the right choice when you aren’t sure exactly what you need. Bauer authorized dealers are located all across the United States or you can shop online. 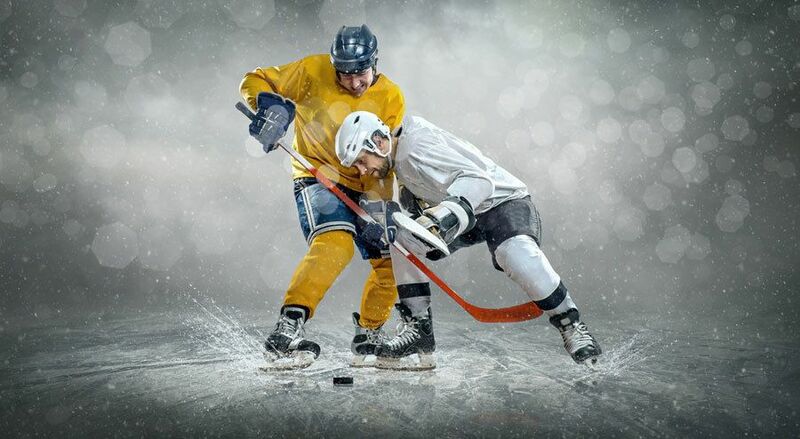 They offer an extensive line of hockey equipment for players and goalies, and all of the products meet the safety standards of youth league hockey. The company is known for its ice hockey skates and one of the best-loved models are the Bauer Vapor X 40 Ice Hockey Skates. Bauer Vapor X 40 Ice Hockey Skates are an excellent option for the player who wants a quality skate for a reasonable price. These are mid-range skates, but would work for both beginner and experienced ice hockey players. They are available in both senior and kids sizes. It’s tough finding just the right skates, especially if you’re looking for something that’s functional, high-quality, and affordable. These skates are simple and functional, so they are great for beginners, but they also perform well, so intermediate and experienced ice hockey players will also be comfortable in these skates. These skates look sleek, modern, and stylish. The black color with silver and red highlighting give them an edge, but they are still relatively simply styled, so you won’t stand out or feel uncomfortable wearing the skates. Kids love these skates because they look similar to what a pro would wear and have a “tough” edge. We love these skates for their durability and the fact that they’ll hold up through practices and games. These skates got great reviews and buyers loved them. Some users recommended sharpening the skates before use, which isn’t all that uncommon when you buy new skates. It can cost a bit to have the stainless steel sharpened, but these skates are a good price, to begin with, and buyers are thrilled with the quality, so a little extra expense for immediate sharpening didn’t upset anyone. There were also recommendations to break them in before wearing, but most buyers seemed to think the breaking in process was relatively easy. Buyers recommend going down a size or two or more in these skates. Some shared their running show size and said they sized down two to two and a half sizes in the skates. Buyers of these skates raved about how lightweight they were and how great of a value you get. These skates retail for a medium range price, which isn’t cheap but isn’t anywhere near the most expensive pair of skates you can buy. 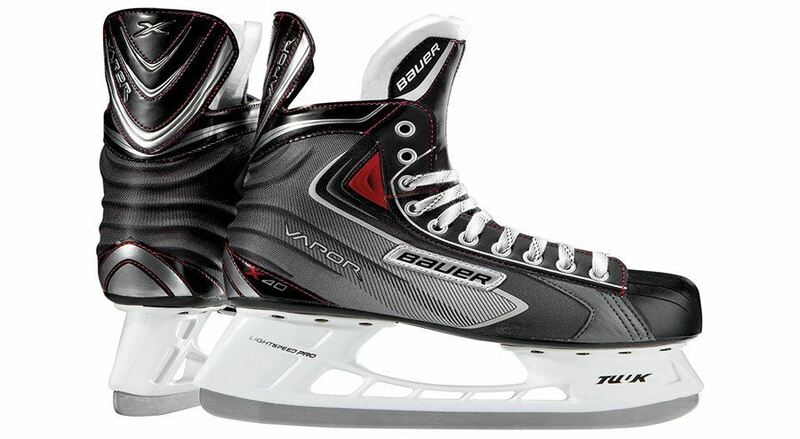 For what you’re paying, you get a great value and buyers are overall very pleased with the Bauer Vapor X 40 Ice Skates. Even if this is the first pair of skates you’re buying, we can supply tips and tricks for getting it right. Make sure you consider three important factors when shopping for skates: fit, quality/durability, and price. The key is to find a pair of skates that meet your needs in each of these categories, even if they aren’t the “best” or most loved skates available. Bauer Vapor X 40 provides a skate that is durable and high-quality without breaking the bank. It can be worn by both boys and girls, so you don’t need to worry about shopping for gender-specific ice skates for your kids. The fit guides are especially important to pay attention to when shopping for ice skates. Some fit true to size, some you need to size up or down. With the Bauer Vapor X 40, most buyers recommend sizing down from your regular shoe size to get the best fit. You’ll need to break the skates in, so if they are a little tight when they first arrive, don’t worry. Wear them a few times before hitting the ice and expect the first time you’re on the ice for the skates to be a little snug. After that, they should fit like a glove. These skates are available on Amazon, which means you can buy with confidence. There can also be a price difference depending on where you buy, so you’ll want to make sure you’re getting the best deal. In most cases, you’ll get the best bargain when you shop online because you’ll have so many options at your fingertips and won’t need to run all over town. If you have a retailer nearby that carries the Bauer Vapor X 40, consider visiting to try on the skates and get the sizing right and then make your purchase online. Keep in mind you might need a few accessories to go with your skates, most of which you’ll be able to find online at Amazon or any other online retailer that sells Bauer. If you want to invest in your hockey game or your child’s game, the Bauer Vapor X 40 will help with the development of play. They are durable, comfortable, and affordable. They work for male and female skaters and are one of the most stylish, budget-friendly options on the market. Based on performance and customer reviews, they’re one of the best ice hockey skate options you can find. Have questions? Or do you own these skates? We'd love to hear what you think of them. Leave your comments below.